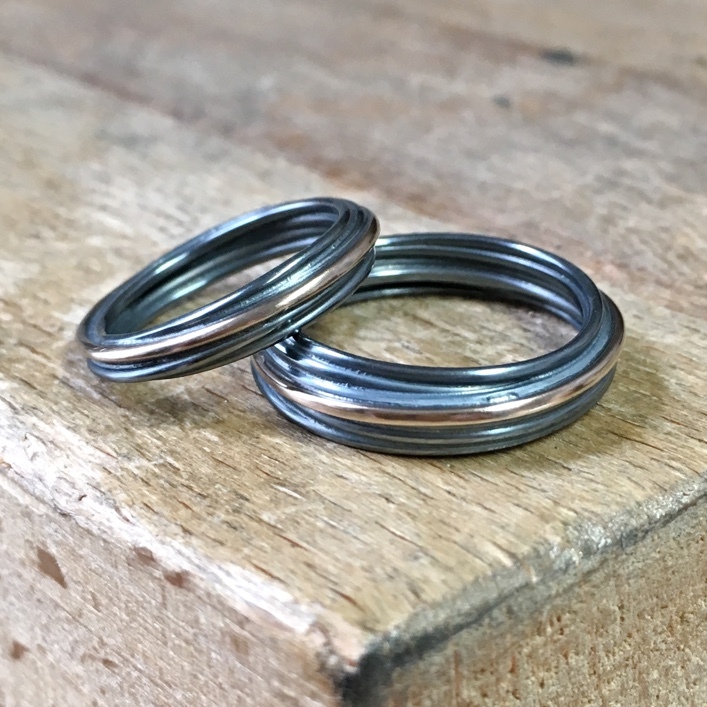 His and hers wedding bands in oxidised silver with single rose gold strand running through the centre. Oxidised strand rings with rose gold band intertwined. Price guide £££-££££ per ring (for more information about our price guide, visit How to do Bespoke).